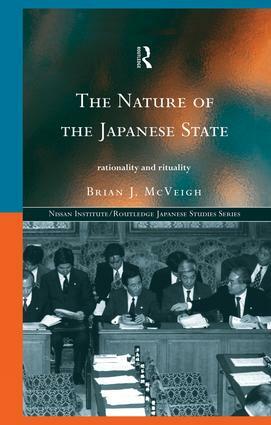 Brian J. McVeigh uses a unique anthropological approach to step outside flawed stereotypes of Japanese society and really engage in the current debate over the role of bureaucracy in Japanese politics. To many in the West, Japan appears as a paradox: a rational, high-tech economic superpower and yet at the same time a deeply ritualistic and ceremonial society. This adventurous new study demonstrates how these nominally conflicting impressions of Japan can be reconciled and a greater understanding of the state achieved.